Dr. Chikweto received a BVetMed from the University of Zambia, Lusaka, Zambia in 2000. In 2001 he received a Diploma in Business Management/Administration from Cambridge International College through distance learning, and in 2008 Dr. Chikweto received a Msc in Veterinary Pathology from St. George’s University, Grenada. In the year 2000 Dr. Chikweto served for four years as House surgeon in Veterinary Pathology, Department of Paraclinical Studies, School of Veterinary Medicine, University of Zambia. He took a position with St. George’s University, School of Medicine, Grenada in 2004 as Teaching Associate in Pathology and since 2007 has held the position of Instructor, Veterinary Pathology. While at the University of Zambia, Dr. Chikweto Participated in the teaching (practical) of veterinarians belonging to the Southern African Development Community (SADC) region in the 4th Third country training programme course (Poultry Disease Module) organized by the University of Zambia (UNZA), School of Veterinary Medicine in conjunction with the Japanese International Cooperation Agency (JICA). H also participated in teaching poultry farmers of Lusaka, Zambia in a course on poultry keeping and production, organized by the School of Veterinary Medicine, University of Zambia. While at the St. George’s University, Dr. Chikweto has provided diagnostic services to the Veterinary Teaching Hospital, veterinarians in private practice, and the Grenada Society for Prevention of Cruelty to Animals (GSPCA). He has also participated in a local community outreach program providing an interview on Heartworm disease in companion animals on CC6 television and local radio stations. A. Chikweto, M. I Bhaiyat, C.N.L. Macpherson , C. DeAllie, R. D Pinckney, C. Richards and R. N. Sharma. 2009. Existence of Angiostrongylus cantonensis in rats (Rattus norvegicus) in Grenada, West Indies. Veterinary Parasitology, 162(2009): 160-162. Hariharan H, Sharma S, Chikweto, A, Matthew V, DeAllie C. 2009. Antimicrobial drug resistance as determined by the E-test in Campylobacter jejuni, C. coli, and C. lari isolates from the ceca of broiler and layer chickens in Grenada. Comp Immunol Microbiol Infect Dis. 32:21-28. A. Chikweto, M. I Bhaiyat, R.Sharma, C. deAllie, P.E McNeil. 2009. Angiomatous lesions of the skin of dogs in Grenada. Journal of Commonwealth Veterinary Association, 25 (1), pp. 29-31. A. Chikweto, R. N Sharma, V. Matthew, G. Stratton, K. Thorne, L. Parke and D. Dummer, 2008, Seroprevalence of West Nile Virus in donkeys in Grenada and Carriacou. West Indian Veterinary Journal, 8 (1), pp. 32-33. Dubey. J.P., Bhaiyat, M.I., Macpherson, C.N.L., DeAllie C., Chikweto, A., Kwok, O.C.H and R.N. Sharma. 2006. Prevalence of Toxoplasma gondii in Rats (Rattus norvegicus) in Grenada, West Indies. Journal of Parasitology. 92(5):1107-1108. Chikweto, A., Bhaiyat, M. I., DeAllie, C., Sharma R. N, Richards, C., Samuel, R. C.N.L . Macpherson, Pinckney, R. Angiostrongylus cantonensis in rats (Rattus norvegicus). 2006-2008. Small grant initiative, St George’s University. Chikweto, A., C.N.L. Macpherson, Bhaiyat, M. I., DeAllie, C., Sharma R. N. Toxoplasmosis in rats (Rattus norvegicus), chickens and cats. 2004-2008. Small Grant initiative, St. George’s University. Chikweto, A., Bhaiyat, M. I., DeAllie, C., Sharma R. N. Prevalence of Canine heartworm disease at necropsy. 2005 to date. St. George’s University, Grenada. Chikweto, A., Bhaiyat, M. I., DeAllie, C., Sharma R. N. Prevalence Spirocerca lupi in dogs at necropsy. 2005 to date. St. George’s University, Grenada. Chikweto, A., Bhaiyat, M. I., DeAllie, C., Tiwari, K., Coomansingh, C., Courtney, A., Pinckney, R. Lesions and internal parasites in stray dogs submitted for necropsy. 2008 to date. 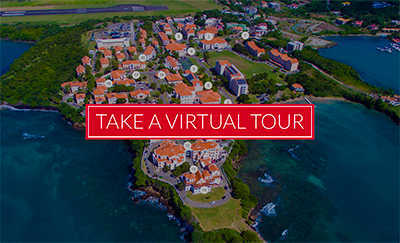 St. George’s University, Grenada.